We have news — and it’s quite the mixed bag. I’ll start with the good news. WE HAVE A BILL! On Tuesday, DC Councilmember Mary Cheh finally introduced a climate bill. 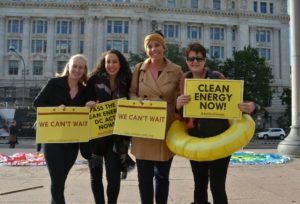 The “Clean Energy DC Omnibus Act of 2018” features policies that, if passed, will significantly cut emissions and place DC among the frontrunners of states and cities fighting climate change. The bill reflects our campaign’s hard-won principles of strong, economy-wide emission reductions with a focus on equity, and that is a true victory that would not be happening without your tireless advocacy. Before I get to the bad news, I have a quick favor to ask: Will you send a message to Councilmember Kenyan McDuffie of Ward 5 asking him to do everything in his power to advance and pass this strong climate bill? It will need to move through his committee this fall. Take one minute to send a message right now. Now on to the bad news. What’s hard to believe, and impossible to celebrate, is that Cheh left the carbon fee out of this bill. This happened despite her public commitment of support for the carbon-pricing policy and her repeated expressions of confidence that a majority of the Council would support a carbon fee. And after two years of passionate community support and careful analysis generated by our campaign, we were shocked when she turned her back at the last minute. 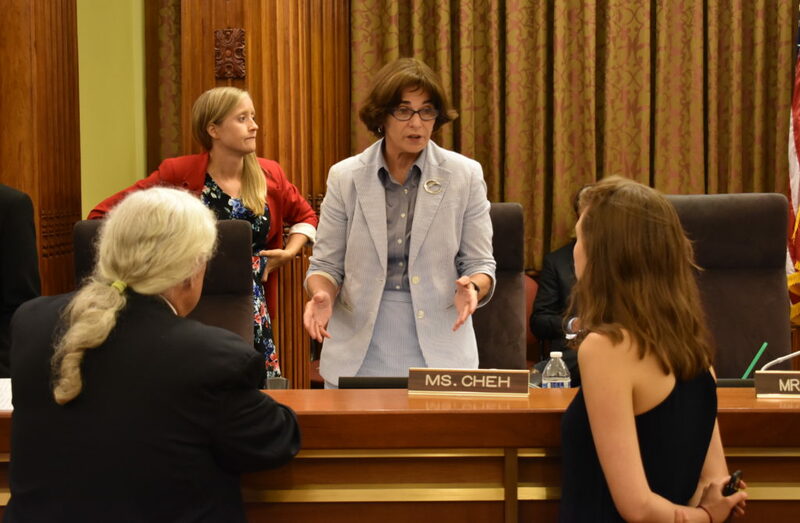 When Councilmember Cheh announced her re-worked version of the climate bill at the Wilson Building on July 10th, I sat feet away from the dais busy with Councilmembers and staff, in an out-of-body experience of conflicting emotions. This was the day you and I worked for years to realize. But part of my heart was broken and betrayed. 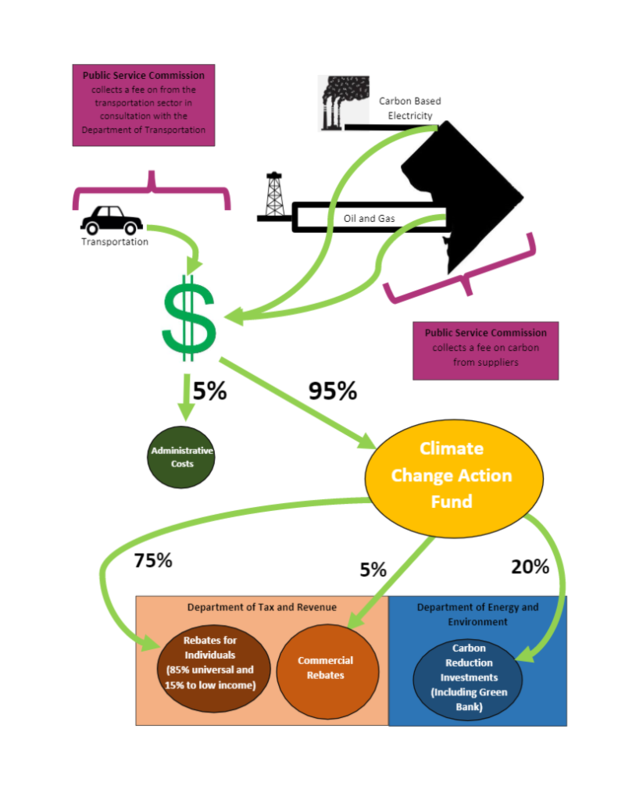 Local leadership on the most powerful solution for a just and livable future, a carbon fee and rebate, had evaporated just weeks after Cheh’s office had proposed moving forward with the strong carbon price we endorsed. Part of me was irate. This about-face happened because of the power of the fossil fuel industry. Near the very end of months of working group meetings with business lobbyists, Washington Gas proposed to swap the carbon fee for a modest increase on the preexisting Sustainable Energy Trust Fund (SETF), raising funds for commercial energy efficiency programs. Big business and utilities want all carrots, no stick. A well-designed and steadily increasing carbon price holds polluters accountable for the damages of climate change. Unfortunately, the Councilmember let them off the hook. Yet another part of me was incredibly impressed — by our movement. Although Cheh’s omnibus bill falls short of our expectations, it features a very strong set of landmark policies that will significantly enhance the District’s commitment to clean energy and energy conservation. The final effect of the bill is that all dirty energy is made slightly more expensive in the city, dirty electricity is phased out completely by 2032, and the revenue raised from the bill — an estimated $26 million in year one — would be invested in green infrastructure and other programs. Similar to a carbon tax in Boulder, Colorado, the SETF fee proposed in Cheh’s bill would apply to electricity generated by fossil fuels. It goes beyond the Boulder approach by including a modest fee on natural gas and fuel oil too. The bill also increases DC’s Renewable Portfolio Standard (RPS) to require that 100% of the District’s electricity comes from renewable sources by 2032, and requires suppliers to purchase a high percentage of their energy through long-term renewable power purchase agreements (PPAs). This would establish the strongest such goal in the country. (Yes, very cool). It would also establish strong building efficiency standards and would allocate 20% of the funds raised by the energy fee for rate-payer assistance for low-income households. So, my friends, mixed bag. We lost a big battle for courageous climate policy, but if we stick together and fight as hard as ever, we are on the way to winning the war for a clean energy transformation in the District. Will you take one minute to send a message to Councilmember Kenyan McDuffie? His support is key for passing this bill. Cheh’s suite of ambitious solutions were just great ideas in a report until you came along. Now they are on the way to becoming law. Congratulations on this real progress — seriously. Thank you for fighting so hard to get the District this far. Your advocacy is THE countervailing force to big utilities and businesses who don’t want any climate policy with teeth to pass. We are still in for a big fight. 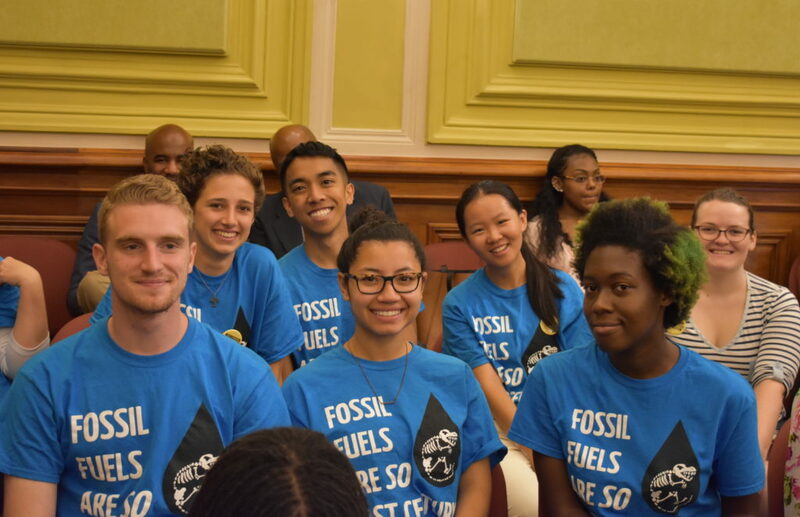 Lobbyists for fossil fuel companies have strong access to Councilmember Kenyan McDuffie, chair of the committee through which the bill must pass after Cheh’s committee. So, once again, please, join me in urging McDuffie to advance this bill in its full strength this fall. The opposition is working overtime to bend the Council to their will. We must resist. Take action now! It’s been a strange week, but thanks to this coalition’s tenacity and good cheer, I am dusting myself off and tightening the boxing gloves. Climate progress depends on grassroots power. The momentum we’ve built together has infused equity into local environmental politics and forced politicians to act. Let’s double down until they finish the job. Thank you for all your hard work and support. Onwards!